The airing of The Wiz Live! on NBC was a landmark moment in television history. Not only did the all-Black cast slay the 3 hour production, but it was also a ratings monster posting 11.1 million total viewers and a 3.3 demo rating in preliminary returns. But most importantly, it is another sign of the changing entertainment landscape. As a lifelong fan of The Wiz, threatening to cut anybody that dare sully its name, I was naturally more than excited for the premiere of The Wiz Live!. Even better, I planned to share its magic with my three children. They didn’t know what to expect as they hadn’t seen either The Wiz, The Wizard of Oz, or Wicked on stage or screen, so as the production began, their anticipation was high. But, even as they enjoyed the music and danced along with some of the numbers, a simple comment from my four-year-old daughter made me realize that I had, in all of my excitement, underestimated the show’s importance. Her words struck me because I instantly understood how different her world has been from that of my childhood and that of my parents. In her eyes, Annie is a precocious, street-smart, black girl with bountiful natural hair portrayed by an actress named Quvenzhané Wallis. 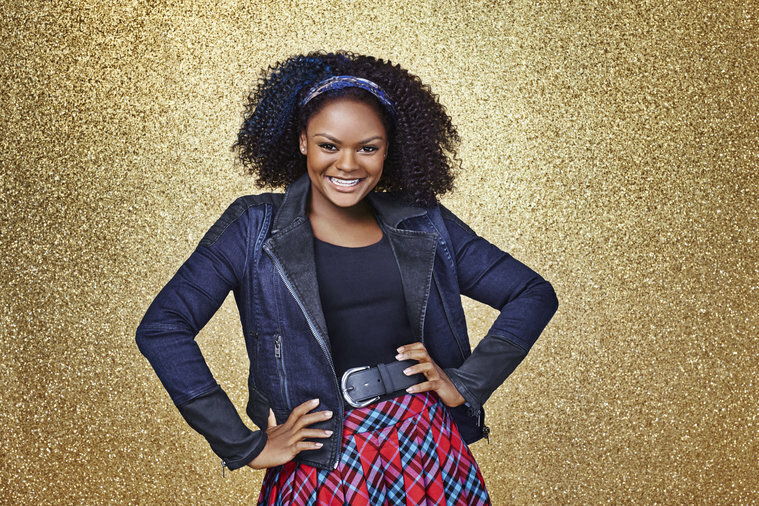 For her, Dorothy is a fiery yet meek Black teen girl with a bouncy twist out and red wedge sneakers played by Shanice Williams, a fresh-faced actress from Jersey. My children do not identify with and have zero knowledge of the ivory skinned and red-haired versions of these characters. And I can’t even begin to fathom how that will change how they are shaped as human beings in this world. This is proof that representation, images, and diversity matter. It doesn’t hurt that the production value of the stage play was incomparable. It was an amazingly sizeable and difficult production to pull off, but the cast made it look flawless. Stephanie Mills killed the opening song “The Feeling We Once Had”. Cirque du Soleil created a captivating tornado. And then Amber Riley popped in as Addaperle and completely slayed one of the most recognizable songs of the production, “He’s The Wiz”. From then on, it was a non-stop ride of bright colors and popping personalities with Elijah Kelly putting his own stamp on the Scarecrow and “You Can’t Win”, Ne-Yo throw some stank on “Slide Some Oil To Me”, and David Alan Grier rocked as a Cowardly Lion with a mane of locs. And the memorable moments kept coming with Queen Latifah commanding a stunning stage design (complete with a giant anatomic robot head behind her), Mary J. Blige steaming through “No Bad News”, and the crew of the Emerald City voguing for their lives accentuated by calls of “werk”, “slay”, “yass”, “serve”, and “fierce”. And the one-two punch of Uzo Aduba performing “Believe in Yourself” and Shanice Williams delivering on “Home” blew the roof off of everything. Having an all-Black theatrical production air on network television with such a clear investment from the network and with such a well-received reception is no easy feat. And for that production to garner rave reviews and depict the plurality of Blackness in the world is a sign of the progress occurring within the entertainment industry, specifically in television. If nothing else, Thursday’s airing of The Wiz Live! showed that authentic presentations of Black people on television can entertain and inspire. It proved that there is a definite demand for these productions. And, frankly, I’m excited for what it will mean for television go-forward. If you somehow missed the show, stream it below.